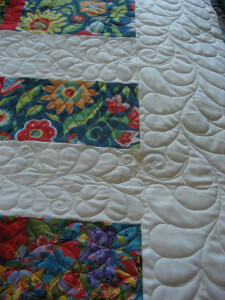 When this quilt was brought to me I knew exactly what I wanted to quilt on it. 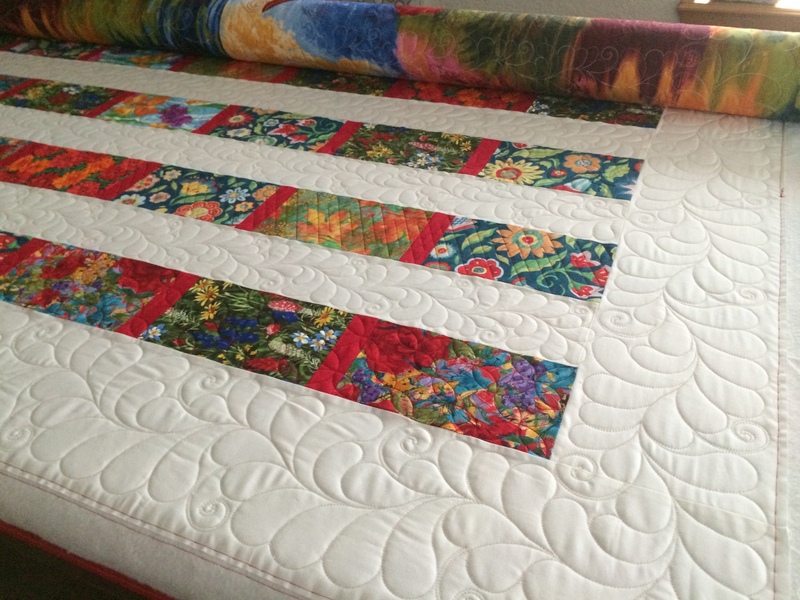 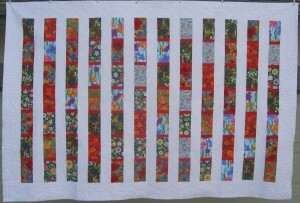 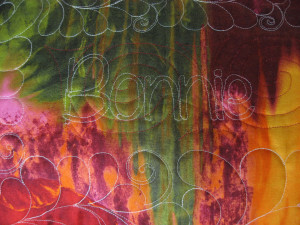 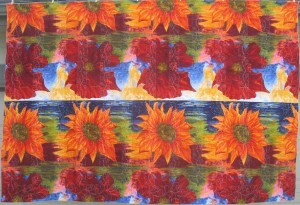 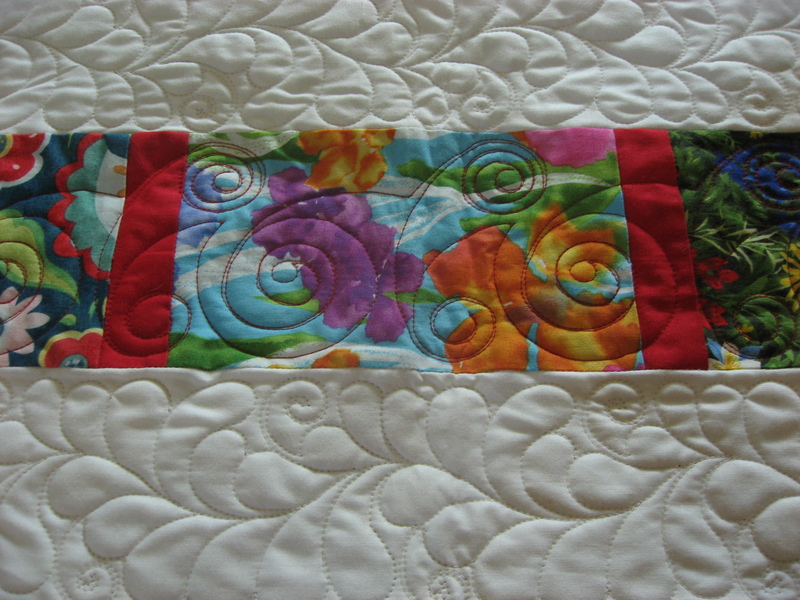 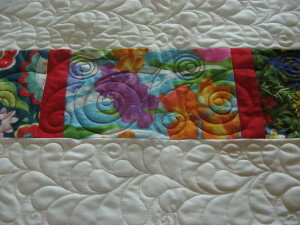 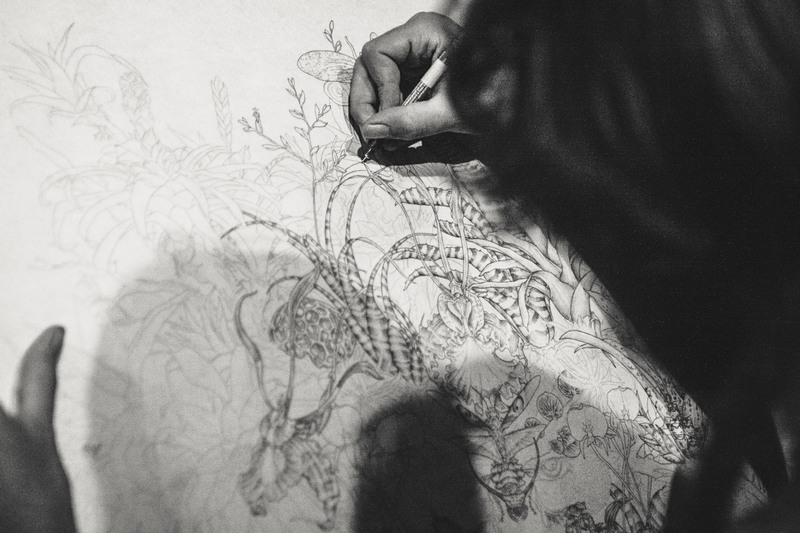 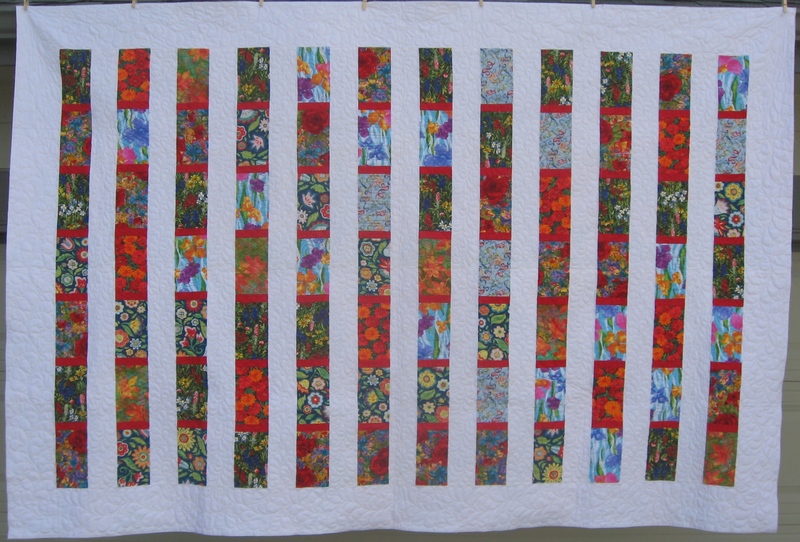 I saw feathers around the edge, and I could use each of the floral rows as a sampler of different modern quilting designs. 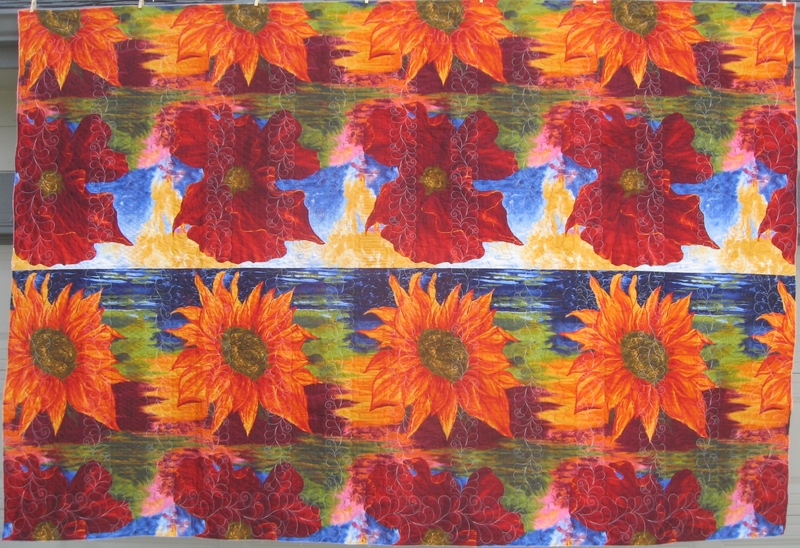 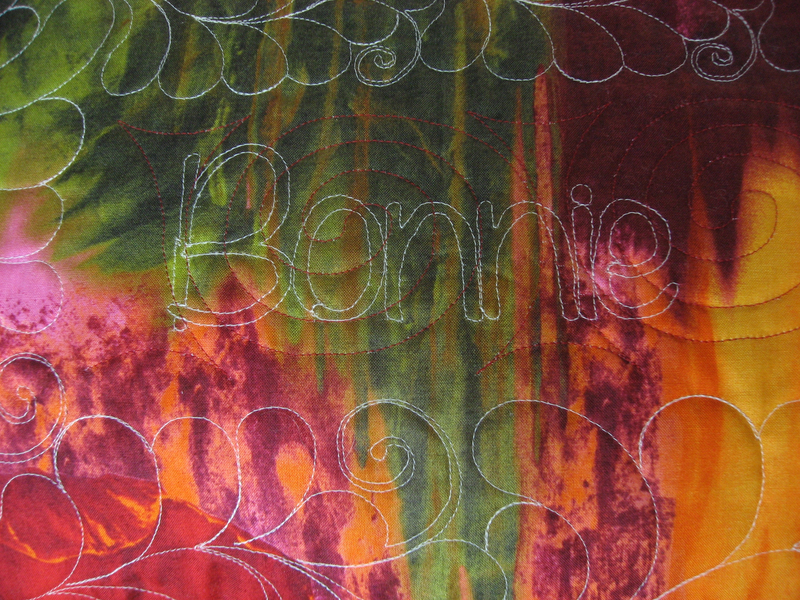 I could not have picked a better backing fabric if I had tried. 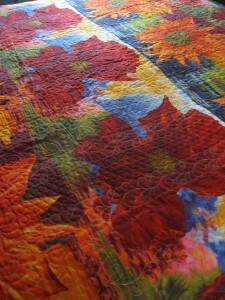 I am in love with this quilt, and it is not even mine.